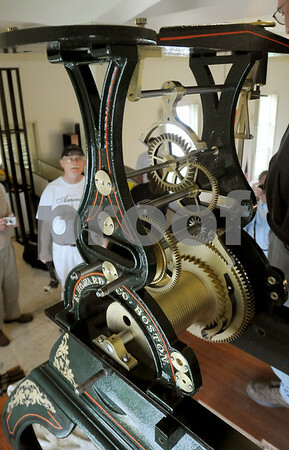 Rowley: Roger Merry watches as the clocks components are put into place by the Balzer family. Merry maintained the clock before restoration and will continue to do so. Bryan Eaton/Staff Photo Newburyport News Thursday June 11, 2009.